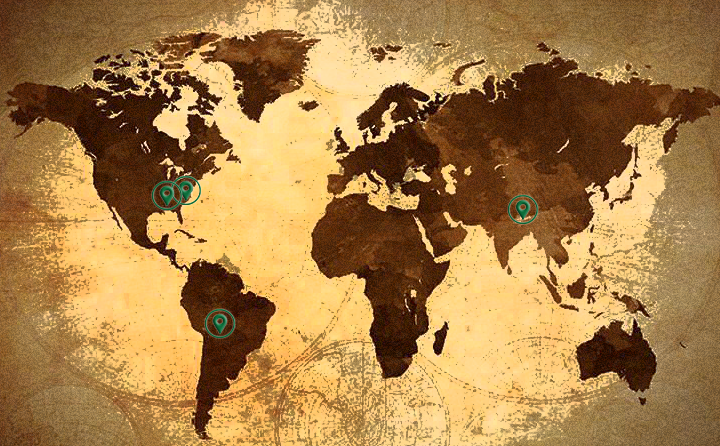 Songs of Adaptation currently has monitoring stations on three continents. Each site represents a unique opportunity to observe our changing world. This work will inform evidence-based decision making in some of the highest biodiversity areas of the world. Ecosystems are experiencing extreme stress due to climate differences and anthropogenic change. Changing temperatures can have vastly different effects on different environments. 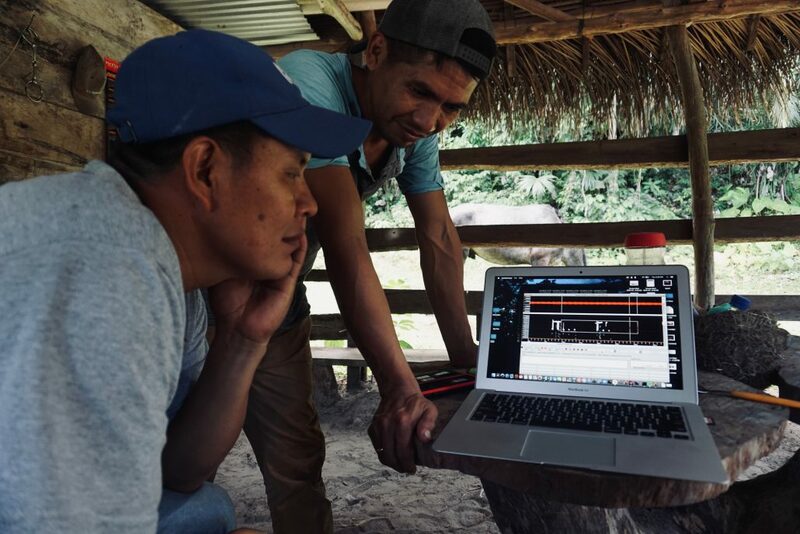 The Songs of Adaptation research network currently has monitoring installations in Nepal, Bolivia and the United States as well as plans for many more international sites. In 2018, a pilot study was conducted in the Barun Valley, near Mount Everest. In order to capture climatic variability over time, this installation was constructed as a Biomeridian. This means that the instrumentation is located on a transect of a mountain slope, reaching from the bottom of the mountain where the ecology is tropical, up to the top of the mountain where the climate currently resembles the arctic. One slope can encapsulate the biodiversity from the equator to the poles. Beginning the trek up the Barun Valley. Data were collected at 5 stations along this transect. For now, it is being manually analyzed in small batches. In the future, this amassed data will be clustered and analyzed in large batches; at that point, trends may be statistically significant. The first in-depth report resulting from data at this research site was given to the Nepali government in June, 2018. It is available here. We hope to take such technical information and give it to local communities in respectful and engaging ways. Here is an example of some of the audio data collected by our bioacoustic microphone. 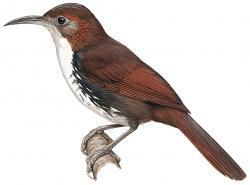 This is a recording of the Slender Billed Scimitar Babbler – Xiphirhynchus superciliaris – that frequents the Deaurali site along the Barun Biomeridian. Audio analysis can be quite complex, especially when working with months worth of recordings at a time. The spectrogram below is a visual representation of the Slender Billed Scimitar Babbler above. Looking at a visual representation of the sound in a few short seconds of the months worth of data that has been generated in the Barun is truly exciting. 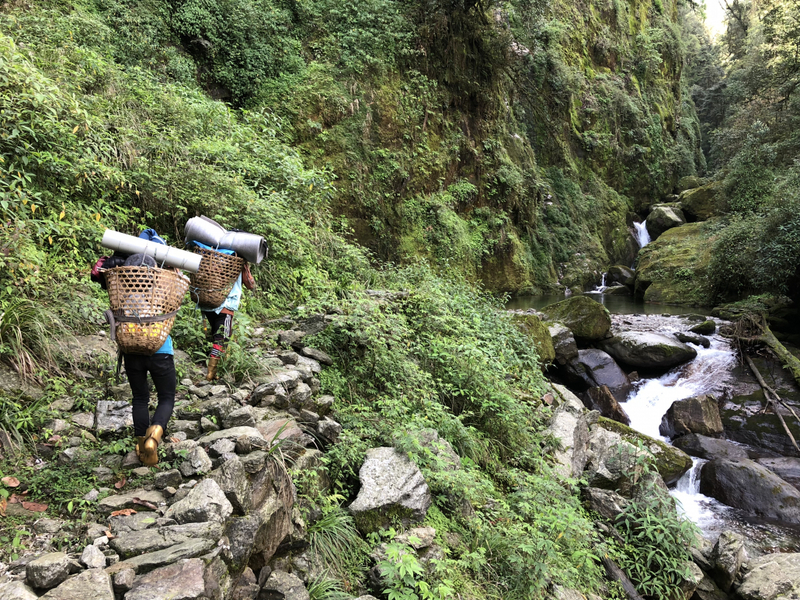 In March 2019, a Bolivian biomeridian is installed in the midst of a complex of contiguous protected areas in Bolivia and Peru. 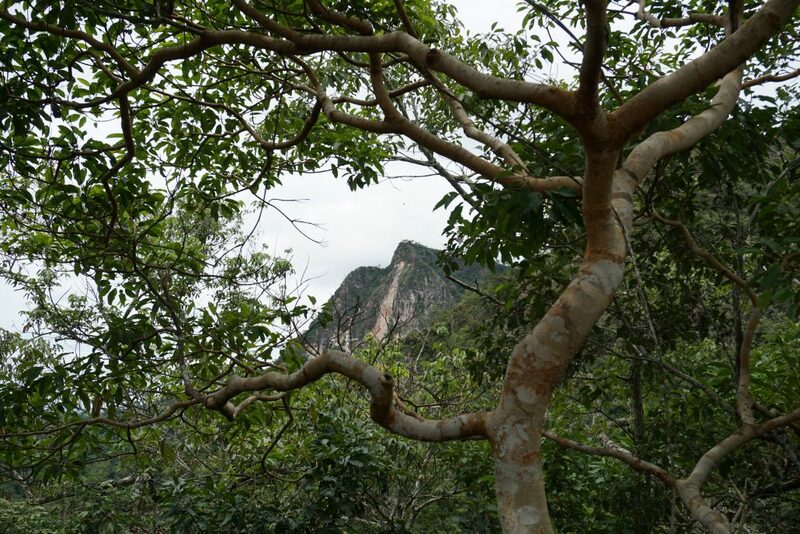 The first location is El Chocolatal, which is right on the edge of Pilon Lajas Biosphere Reserve. This land is contiguous to Madidi, which connects with another natural area in Bolivia (Apolobamba) and two more in Peru, Bajuaja Sonene and Tambopata. 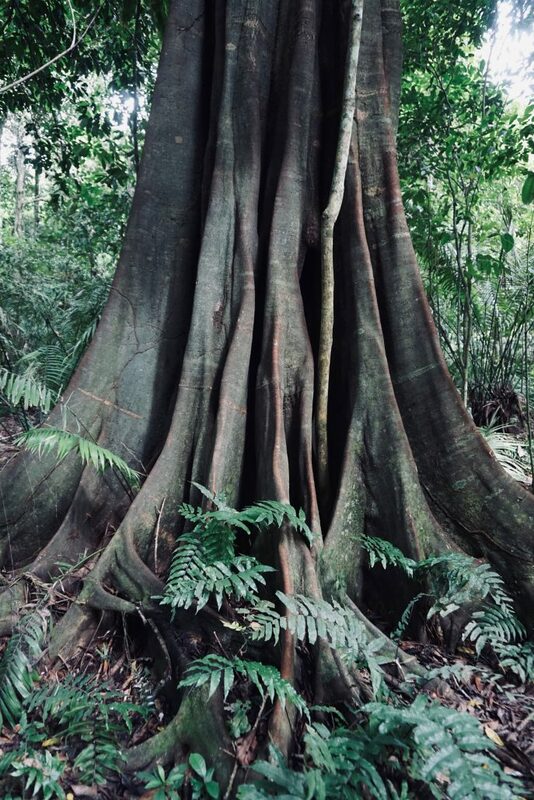 To many, this area is known as the Tambopata-Madidi Complex. – we want to work together. The second installation in Bolivia will be a singular monitoring station, including a bioacoustic reorder and temperature/humidity logger. This station will be installed on the property of a community-owned eco-lodge. Deforestation is one of the biggest environmental changes occurring in Northern Bolivia. As land outside of the protected areas is altered by humans and stripped of forests, it is possible that the wildlife populations may shift their ranges. The singular monitoring station would record these changes over time. If temperatures are shifting over time, then species may shift up altitude gradients. These changes would be recorded by the biomeridian installation at El Chocolatal. These initial installations in Bolivia are pilot studies; Songs of Adaptation is developing partnerships and planning to branch out into larger study sites across the vast natural lands of the country. Spruce Knob is a noteworthy landmark and the highest point in West Virginia. 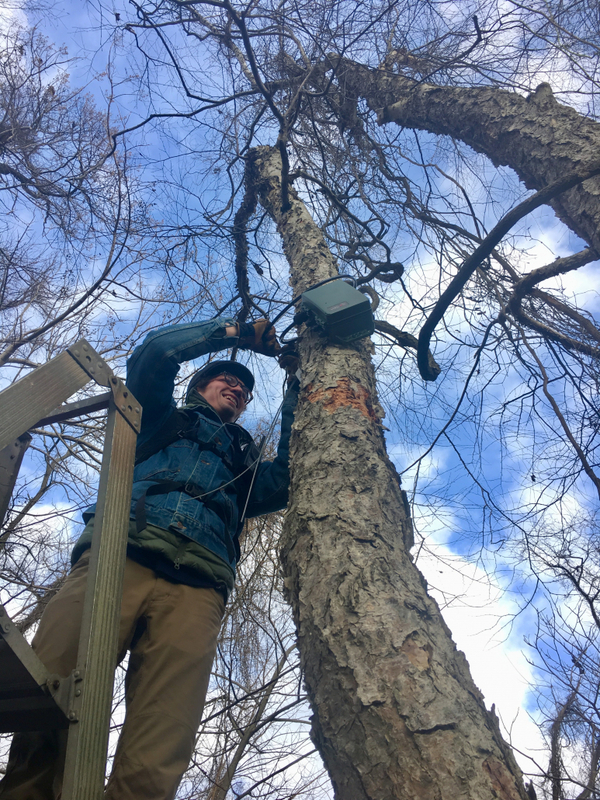 Currently, two monitoring stations are installed there; one in a meadow and the other in dense spruce forest in partnership with Experience Learning. Installing instrumentation in the meadow on Spruce Knob. The first station of a proposed transect of the Chesapeake Bay is installed at the far northern extremities, at NorthBay in North East, Maryland. This station is unique in that it does not rely on professional scientists in order to conduct on-ground biodiversity truthing and in-person observations. Rather, it will crowd-source the work, utilizing a citizen science project with iNaturalist. This station will be the first in-field pilot of using Songs of Adaptation as an educational program. Each location seeks to respectfully interact with local populations; in this case, the community engagement is generally middle school students. 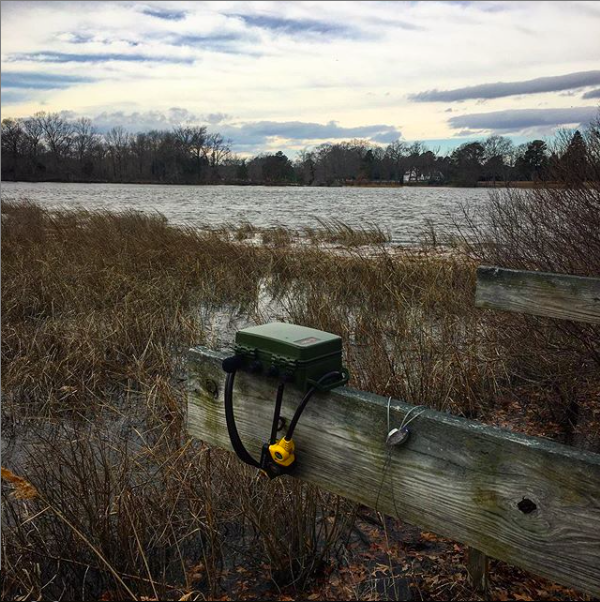 This station is installed at the fringe of a tidal marsh Easton, Maryland, approximately 70 miles south of the station in the Northern Chesapeake. If over time sea level is changing, this would effect salinity or existence of the marsh, and what species utilize the site. By starting recording now, it is possible to have a record through time. Instrumentation was installed in a brand new riparian buffer zone. 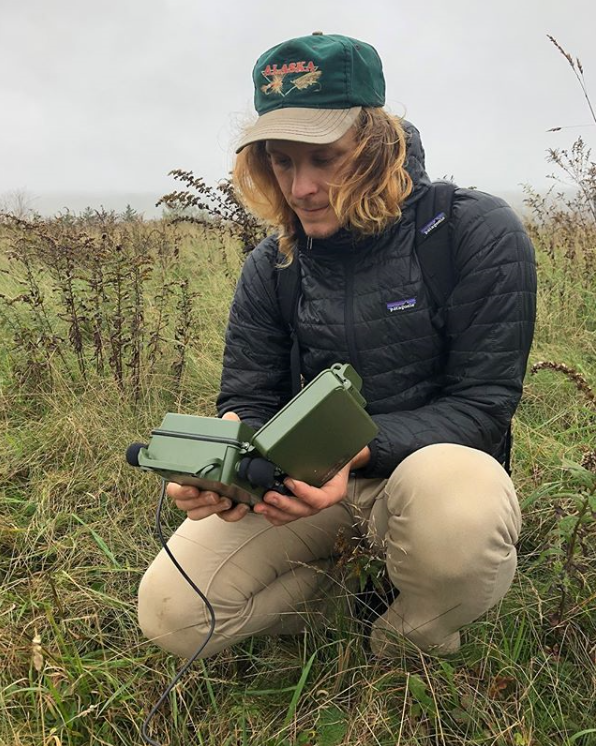 The goal of this station is to document the songs of present species over the years as the stream corridor is allowed to grow into a healthy ecosystem. This is a pilot test for sustainable solar power. 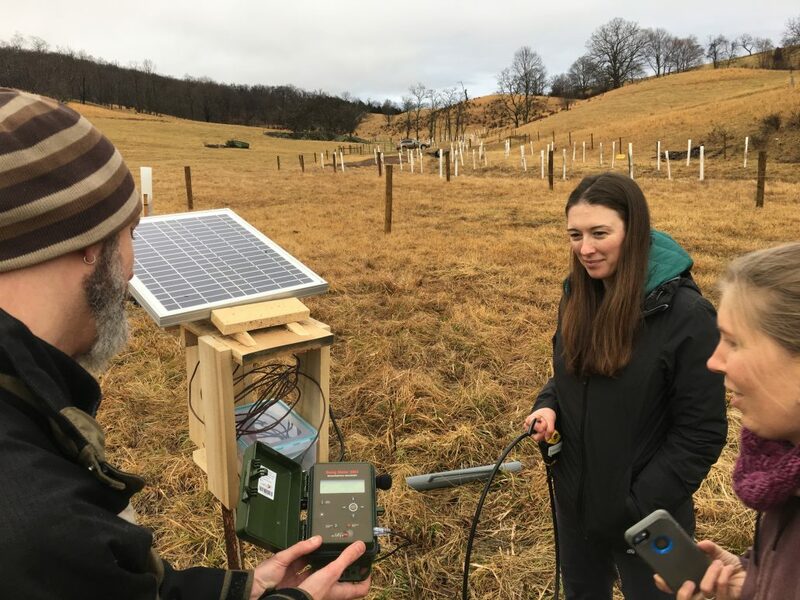 If the solar equipment in use there can successfully power the instrumentation over a trial period, then it can be used in more research sites.